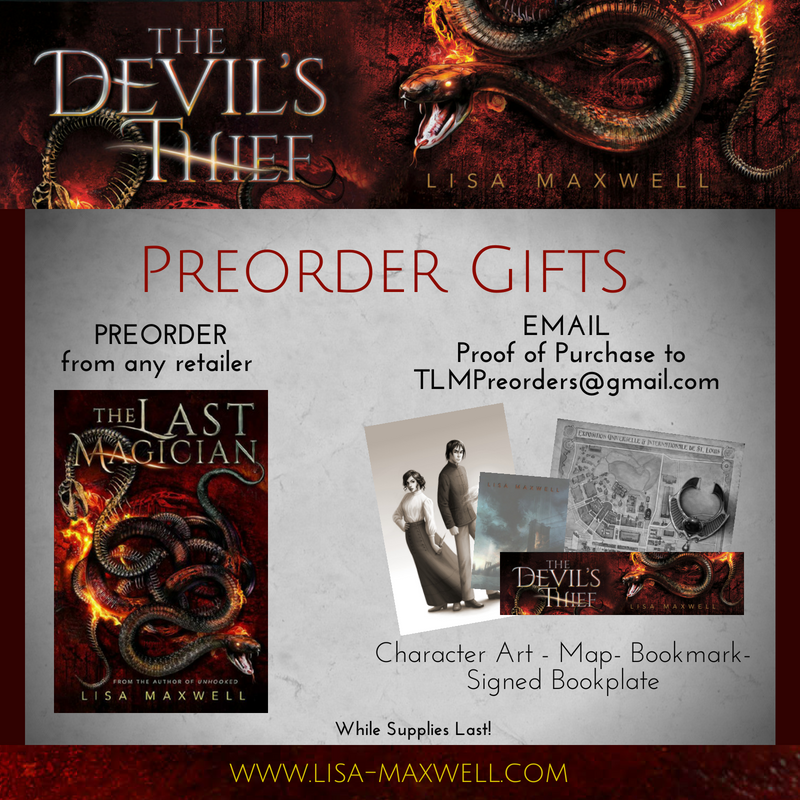 PreOrder The Devil's Thief and get a FREE GIFT! Preorders are so important for authors. All of the preorders are tallied up as first week sales, which means that a book's biggest week is its first week. I need your help in spreading the word and helping The Devil's Thief hit the list, just like TLM did! If you preorder the book, I'll send you some free gifts! Pre-Order from any retailer you'd like. You can pre-order one of the Barnes & Noble Special Editions or from your favorite book retailer. Send me the proof of purchase at TLMPreorders@gmail.com. Don't forget to include your mailing address and any information I'll need to personalize your bookplate! If you're thinking about buying The Devil's Thief, don't wait! There are only a limited number of preorder gifts available, and when they're gone, they're gone! The Devil's Thief Blog Tour Is On!